Diodorus doesn’t say when exactly Alexander sent Erygius and Stasanor to deal with Satibarzanes but it is the last action of 329 B.C. – according to his reckoning – that he describes. Chapter 82 opens at the start of 328 B.C. I say by his reckoning because the Footnotes state that it was now the summer of 330 B.C. ‘In this year Alexander marched against the so-called Paropanisadae’ who lived in the far north (in a land named Paropamisus – Wikipedia). Diodorus describes Paropamisus as being ‘snow-covered and not easily approached’. The land is ‘plain and woodless’. The parapanisadae live in homes with conical roofs that are open at the top so that smoke can escape through them. Due to the heavy snow, they are confined to their homes for much of the year. Indeed, when the Macedonians passed through Paropamisus, they only became aware that there were people living there when smoke rose out of the ground underneath them. Diodorus paints an evocative picture, but again, he appears to be in error. The Footnotes advise that Paropamisus was ‘neither in the north nor a plain’. As far as Diodorus is concerned, though, Paropamisus was bad news for Alexander. The sun shone so brightly that the snow dazzled the Macedonians’ eyes, causing some to be blinded. For others, the march was so exhausting that they ‘became exhausted and were left behind’. Fortunately, relief came when the Macedonians realised they were standing on top of the Paropanisadae homes. The country was made subject to Alexander, and food taken or bought from the natives’ supplies. Per the Footnotes, Alexander met the Paropanisadae in the winter of 330 B.C.and wintered there that year. Continuing his journey, Alexander next ‘encamped near the Caucasus, which some call Mt. 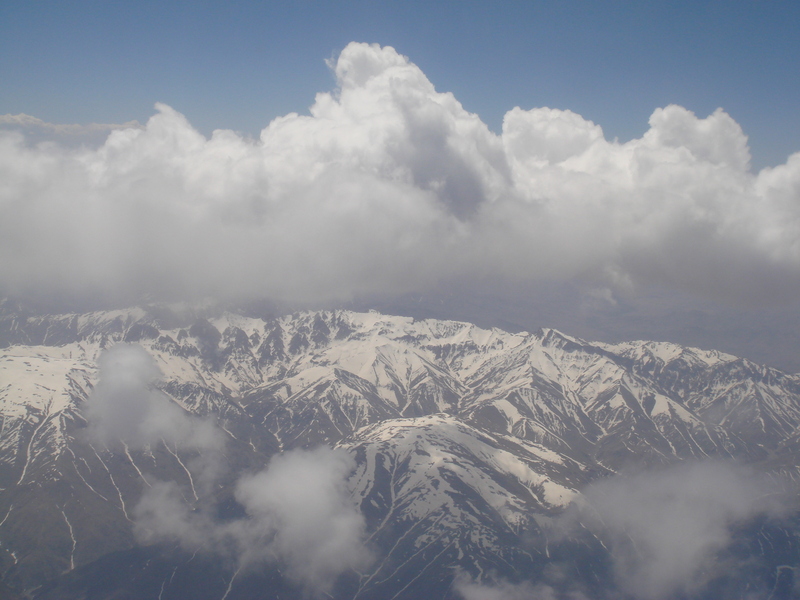 Paropanisum’, and which we call the Hindu Kush. The journey over the mountain took sixteen days to complete. On the way, Alexander’s guides showed him the cave where, they said, Prometheus had been bound. The guides were even able to show the king marks left by Prometheus’ chains, and where the eagle that ate Prometheus’ liver every day had its nest. On the eastern side of the Paropanisum, Alexander stopped to found another Alexandria. It was settled with 7,000 natives, 3,000 ‘camp followers’, and mercenaries. ‘It is interesting,’ say the Footnotes, that the city ‘received no Macedonian settlers’. Once Alexandria had been established, Alexander marched into Bactria – news had now reached him ‘that Bessus had assumed the diadem and was enrolling an army’. As Alexander made his way into Bactria, Erygius and Stasanor entered Areia (Aria). They camped near to Satibarzanes’ army, and for a while the two armies skirmished and engaged each other in small numbers. Having sized each other up, the three generals but their armies into battle formation for the final showdown. Unfortunately, Diodorus tells us nothing of the battle except that Satibarzanes’ men ‘were holding their own’ when Satibarzanes challenged any Macedonian general who dared to a duel. Erygius dared. He came forward, and the two men fought until Satibarzanes fell to the ground, dead. The loss of their commander demoralised the Persian soldiers and they surrendered themselves. The battle was over. Chapter 83 concludes with Bessus’ downfall. During a banquet with his friends, he got into an argument with one named Bagodaras. Bessus wanted to execute Bagodaras but was persuaded by his friends to let him live (does this sound familiar?). Unlike Black Cleitus, Bagodaras wisely decided he was better off somewhere that Bessus was not. He chose Alexander’s camp. Alexander greeted Bagodaras warmly, and word was sent to Bessus’ generals that if they also came over to the Alexander’s side, they too would be given safe passage and gifts. This message did not fall on deaf ears. In fact, not only did Bessus’ generals switch sides, but they arrested Bessus and brought him as well. Alexander kept his side of the bargain and gave the generals ‘substantial gifts’. As for Bessus, he gave him to Darius’ family to be punished as they saw fit. They subjected the pretender to the Great King’s throne to ‘humiliation and abuse’ before ‘cutting his body up into little pieces’ and scattering them. When I read Chapter 82, I thought it very rum that Alexander left the exhausted of his people behind during their march through Paropamisus. Looking at it from his perspective, though, I suppose he did not have a choice. Delaying would have meant even more deaths in the awful conditions. Why did no Macedonians settle in the new Alexandria? Perhaps the territory was too rough even for them. Erygius’ duel with Satibarzanes is one of only two duels that I know to have taken place during Alexander’s lifetime or during the Successor period. The other involved Eumenes versus Neoptolemus during the First War of the Successors in 320 B.C., which Eumenes won (I wrote about both the war and duel here). A duel must be about the only thing that Alexander didn’t fight in his lifetime! The list of events missed due to the gap in the manuscript is a big shame. I would especially, though, have liked to see how Alexander spoke to his men after Bessus had been captured. That was, after all, why they had continued east following the destruction of the royal palaces at Persepolis and the death of Darius (see here). More honeyed words, no doubt.